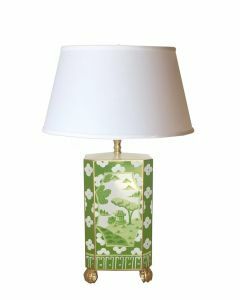 Classic and timeless, this breathtaking table lamp will never go out of style. Its blue and white temple jar base features a gorgeous cherry blossom tree design and an acrylic base. It measures 29.5”H. Click on image for greater detail.